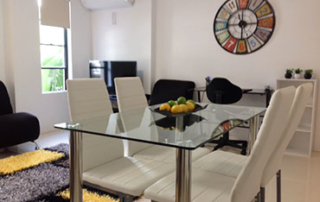 Stylish Serviced Apartments and Holiday Accommodation in the heart of Brisbane. 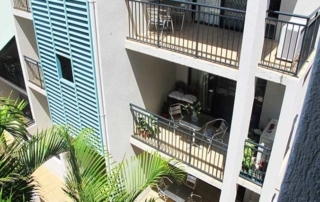 If you are wanting the convenience of being right on the door step of some of the best shopping and finest restaurants Brisbane City has to offer, but still want the peace of a secluded hideaway from busy main roads – then Spring Hill Mews serviced apartments are for you. Spring Hill Mews offers the peace and comfort in true Mediterranean style with 31 guest apartments. 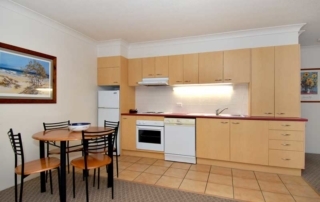 These one-bedroom and two-bedroom luxury apartments are serviced weekly with plenty of FREE secure undercover parking. 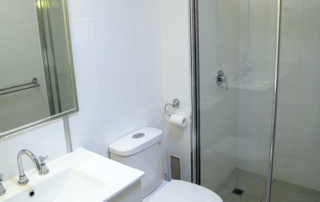 Situated on the northern rim of the CBD at 27 Birley Street, you will be a short 10 minute walk to the Queen Street Mall where you can wine and dine, shop till you drop, and enjoy the night-life if you so choose. 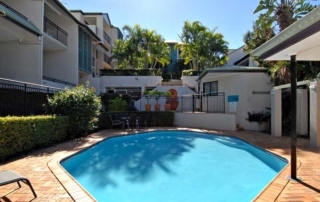 See how close you are to everything while staying at the Spring Hill Mews serviced Brisbane accommodation. 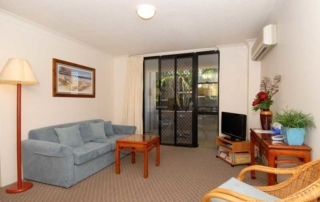 You will find it’s the perfect base whether you are here for business or leisure. CLICK HERE to read the 12 KEY FEATURES Spring Hill Mews offers. All one bedroom contemporary apartments have a queen bed, separate bathroom plus a sofa bed in the open spaced living area. 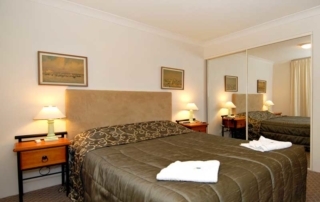 The two bedroom spacious apartments have a queen bed, large bedroom with walk-in vanity area and ensuite; the second bedroom is downstairs and has two single beds and separate bathroom, and a sofa bed in living area. Enjoy breakfast, lunch or dinner at your doorstep of these inner-city spacious apartments at Spring Hill Mews.